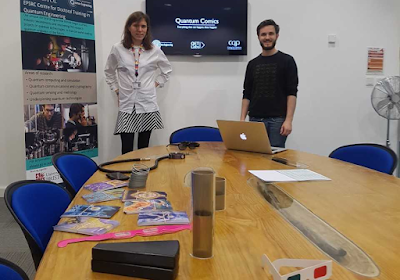 In preparation for QETLabs' upcoming exhibit at the Royal Society Summer Showcase, CQP PhD students Ben Slater and Sam Morley-Short were invited to a professional outreach training session hosted by Royal Society and Science Museum engagement experts. 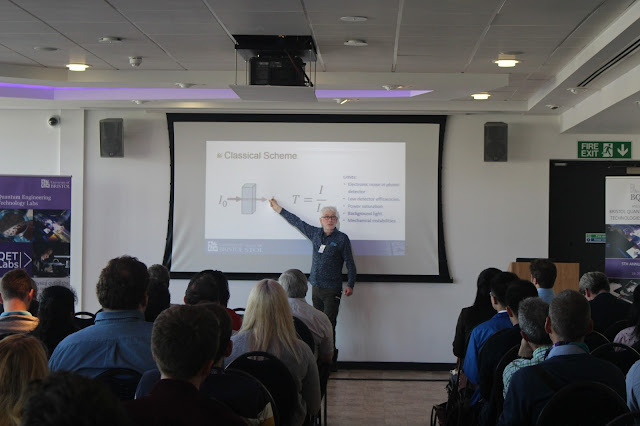 The event was also attended by members from many other exhibits, ranging from climate scientists modelling our complex ecosystem to engineers showcasing "mixed reality" with the new Microsoft Hololens (https://www.microsoft.com/microsoft-hololens/en-gb), with attendees encouraged to learn from each other's strengths and weaknesses. The morning session focused on understanding your target audience: What scientific experiences, biases and assumptions might audience members already have before coming to your exhibit? What do they want out of the interaction and how can you give it to them? How can you design your exhibit to engage the audience in a way they enjoy, rather than how you might do so to other scientists? From this, key messages and learning outcomes were devised, providing a stronger focus for the QETLabs' exhibit. The afternoon session explored the different ways of communicating science in the most engaging way to the public, including exercises such as "Mystery Objects", "Powerful Questions" and "The Two-minute stare" (as it turns out, it's a strange experience to talk to someone with a blank stare, or to not react to someone talking for two whole minutes!). These exercises forced demonstrators to get onto the "other side" of the exhibit and understand how best they can improve their personal communication skills. 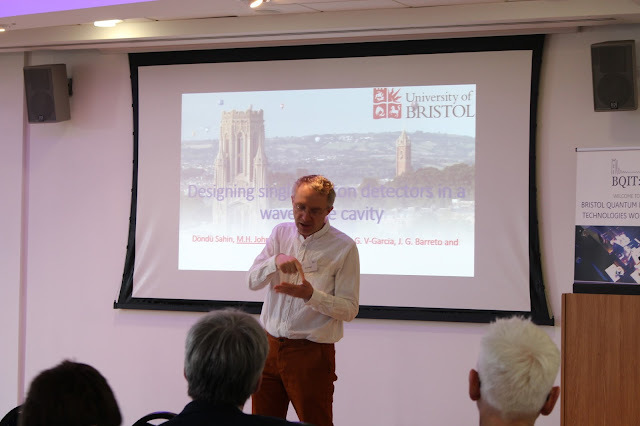 The session concluded with role-played run-throughs, from grandma's learning about studying fusion physics with the world's largest lasers to teenagers taught how to search for Dark Matter with supercomputers. Needless to say, descriptions were derailed and demos deconstructed, but armed with their new outreach skills, the demonstrators managed to put on a good show.